One thing that takes many storage auction attendees a while to figure out is that, just as with books, people and cars, what you see isn’t always what you get. Our natural tendency is to assume that the biggest units mean the biggest profits – after all, wouldn’t you rather 300 square feet of stuff for your money rather than only 100 square feet? Maybe. But the fact of the matter is that, in the world of storage unit auctions, it’s not always the case that bigger is better. In fact, nabbing that 10×30 unit for $300 more might have accomplished nothing more than saddling you with 300 square feet of worthless trash, dirty stinky clothes and a massive headache – now that you’re responsible to the storage facility to remove all of this garbage! Our basic consumer training tells us that we always want more bang for our buck. If one brand of cookies is going to offer us 30 more cookies for the same price, it’s probably in our interest to go for the increased volume – our dollars go further that way! But when it comes to storage unit auctions, you have to re-train yourself to stop thinking in terms of volume. Volume itself is not your friend when it comes to nabbing the best auction units! There is another more important index you need to start considering if you really want to increase the frequency with which you buy winning auction units that can make you your money back, and then some, quickly. What is the better index, or clue, that the auction unit you’re shining your flashlight on could translate into big bucks? The secret is trying to determine the storer profile of a given auction unit. The storer is the person whose unit you’re peering into. Their profile is all the biographical data, made up of their current location, the reason they got a storage unit in the first place, their average yearly income, and their personal tastes and habits. Now, the difficulty is that you’re never going to get this information handed to you in a neatly typed-up report. In fact, even if the facility manager or auctioneer happen to know this information, they definitely aren’t supposed to, and probably won’t, tell it to you. This is where your natural deductive thinking skills come in. What details do you notice when you first look into the auction unit? Is there a dank musty smell that suggests the unit hasn’t been opened and used for many months? If so, what does this suggest about the value of the goods stored inside to their owner? If the owners themselves couldn’t be bothered to make it inside for several months on end, just how important and valuable could the goods therein be? Start trying to puzzle out the physical clues you can gather by just poking your head inside quickly and giving the unit a couple of passes with your flashlight. You might be surprised just how much information an experienced auction hunter can glean from this short of a time frame. Can you smell antique metals of any kind? How organized is this material? Some self storage customers will neatly sort everything they have into perfect numbered bins that are stacked neatly on top of each other, staged up to the door according to the order at which they will be needed or loaded. What kind of storer profile does this suggest? 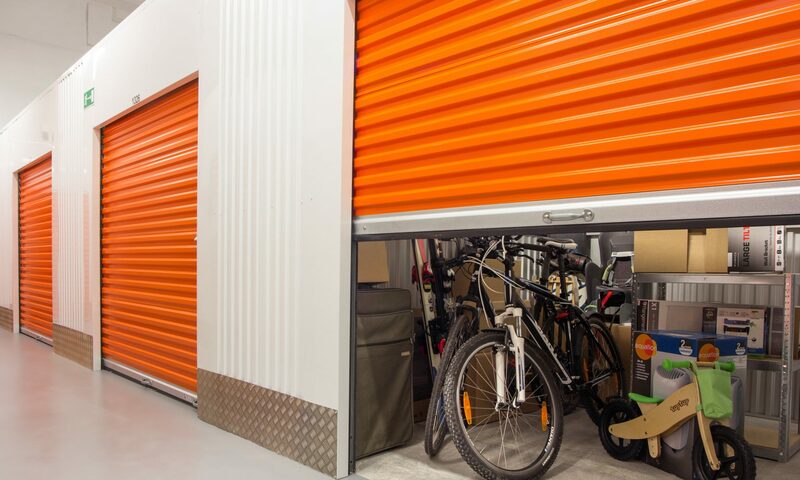 What kind of self storage company would come semi-regularly and need a home’s worth of appliances, cooking utensils, beddings and beach gear each time? Perhaps someone with enough money to own a timeshare? Always remember that self storage auction units tell a story. They tell the story of the customer that rented them, packed them full, and then left them behind, for whatever reason, and eventually neglected to pay their monthly rent. The more practiced and adept you become at seeking out, and piecing together, these physical clues, the more quickly and effectively you will be able to generate the story of a particular auction unit, and read to see whether or not it ends with profit for you!